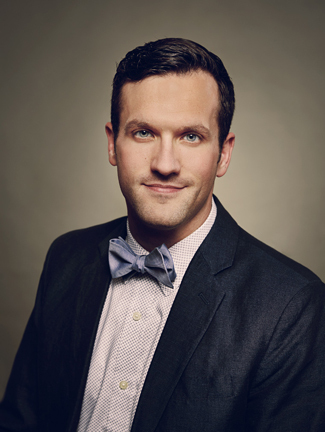 Cameron LaBarr Choral Series | Santa Barbara Music Publishing, Inc.
Cameron F. LaBarr is director of choral studies at Missouri State University where he leads a comprehensive choral program including over 200 singers in five choirs. He has held university choral positions at Lee University (Cleveland, Tennessee) and the University of North Texas. He holds a Bachelor of Music from Missouri State University, where he studied with Dr. Guy B. Webb, and he earned a Master of Music and Doctor of Musical Arts from the University of North Texas, where he studied choral and orchestral conducting with Dr. Jerry McCoy and Maestro David Itkin. Dr. LaBarr has been awarded conducting fellowships at the Yale International Choral Festival, the Sarteano (Italy) Chamber Choir Workshop, and was named a Salzburg Fellow in April 2014, where he participated in the Salzburg Seminar: Conflict Transformation through Peace-Building and the Arts. Choirs under his direction have been selected for performance at the Tennessee Music Education Association Conference, Tennessee ACDA Conference, Missouri Music Educators Association Conference, Piccolo Spoleto Festival, and the Intercollegiate Men’s Choruses National Seminar. Dr. LaBarr has worked as guest conductor and clinician for various institutions and international festivals across the United States, Europe, South Africa and China. Engagements this year include a fellowship with the International Conductors Exchange Program to Sweden, a return appearance as artist-in-residence with the choruses of Wenzhou, China, and serving on the jury panel for the 13th China International Chorus Festival in Beijing. In 2017, LaBarr will conduct a festival concert at the Basilica of St. Francis in Assisi, Italy and a performance at St. Peter’s Basilica in the Vatican. Indodana arrangers: Raif Schmitt and Michael Barrett SATB div. Ndikhokhele Bawo arr. Michael Barrett SATB div.